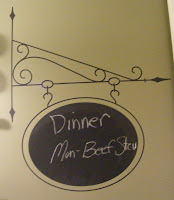 I purchased one of the Chalkboard decor accents and put it up in my kitchen. I purchased the largest size of the Decorative Sign. I really like it and it was so easy to put it up. Now when my husband wants to know what is for dinner I tell him to check the sign. There is an arrow, owl, hippo, etc. Check them out here. Images © Stampin' Up!® 1990-2012. 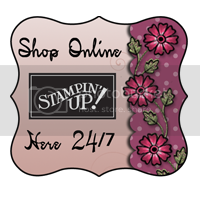 This is a personal web site of Shirley Rodriguez, an Independent Stampin' Up! Demonstrator and I am responsible for its content. Stampin' Up! does not endorse the use of or contents of the classes, services, or non-Stampin' Up! products I may offer here. Content shared on this site has been posted for personal use only and should not be copied and/or published without written permission. Thank you.